Qsl card from LA5UF when he was on North Cook Isl. and from Easter Isl. last Winter. 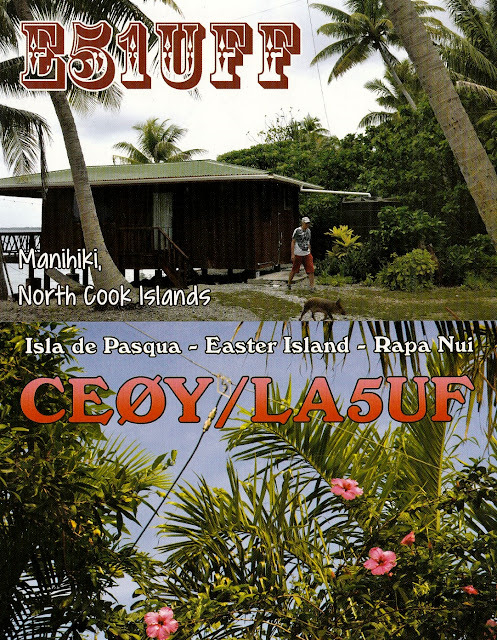 Samoa : 5W1SA on 20 mtr rtty mode,new one rtty. SABA Isl: PJ6/N1MY on 20+30 mtr rtty. first time dx'ers. They havent a clue about propagation. They miss the greyline opening to Europe every morning. Always to late on 30 40 mtr,wrong band mostley of the time. 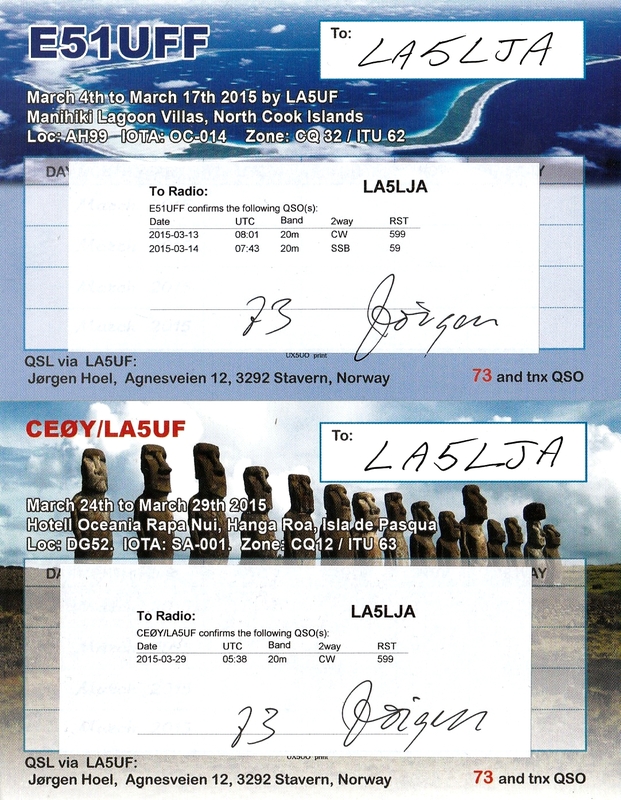 They havent make so many qso's to North America either. Their bad operating tecnich make a lot of frustration. Hopefuly I can snag them on a band before they go home.